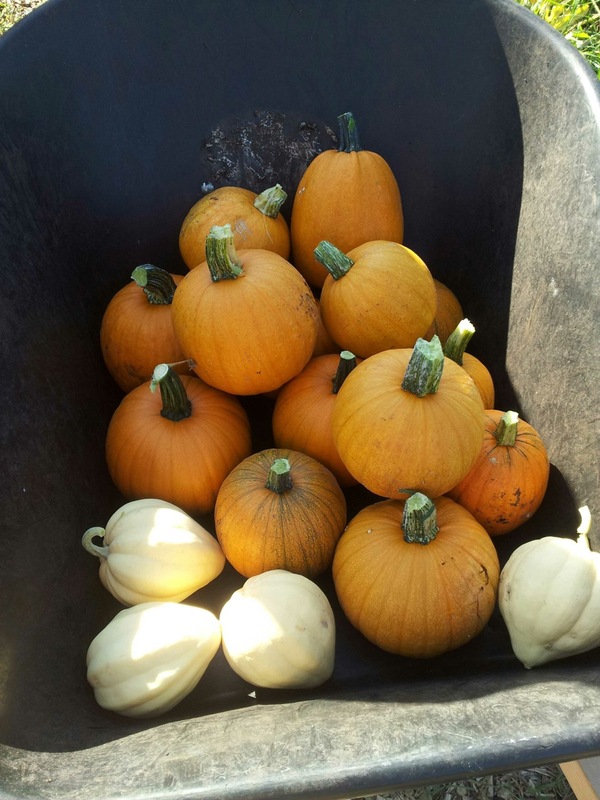 My best friend and I harvested most of our pie pumpkins from our community garden plot at Sabathani Community Center. Aren’t they cute? We only got 4 of these little white acorn squashes, and we have so far gotten zero butternut squashes. The butternuts looked yellow and unenthusiastic for most of the summer, then suddenly in the last couple weeks got really big and bushy as the pumpkin and acorn squash plants started to die down. They now have tiny butternut squashes on them, but I’m not hopeful they’ll have time to get big before we get a freeze. Only time will tell! In the meantime, I’ll be baking up some of these guys. 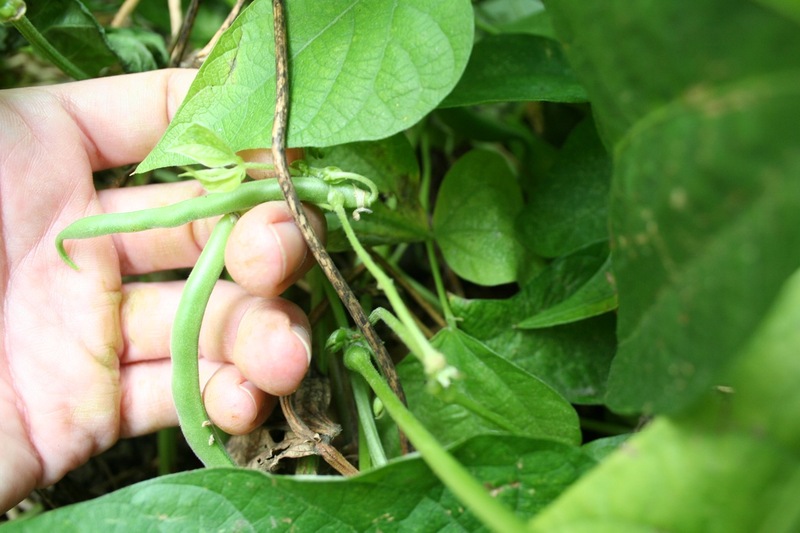 My Blue Lake bush beans are still producing, even as the plants are starting to look rather shabby. 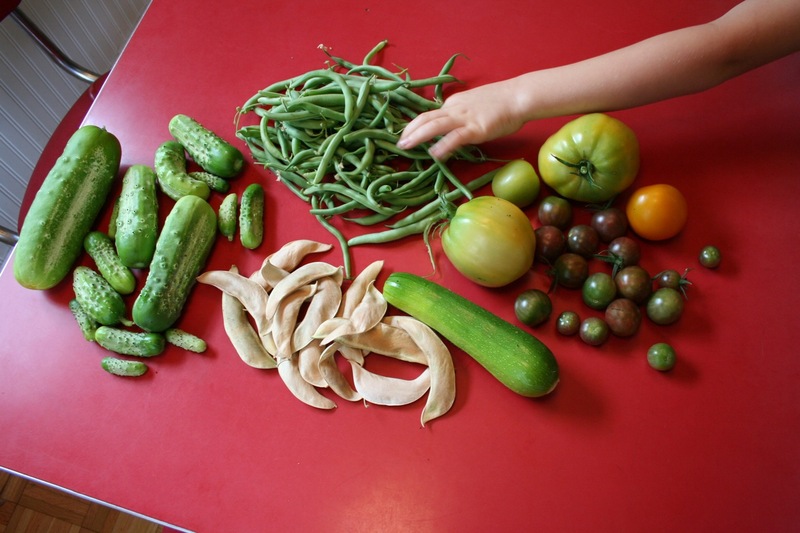 We’ve found this variety to be extremely prolific, though maybe slightly less tasty than the haricot verts we grew last year. 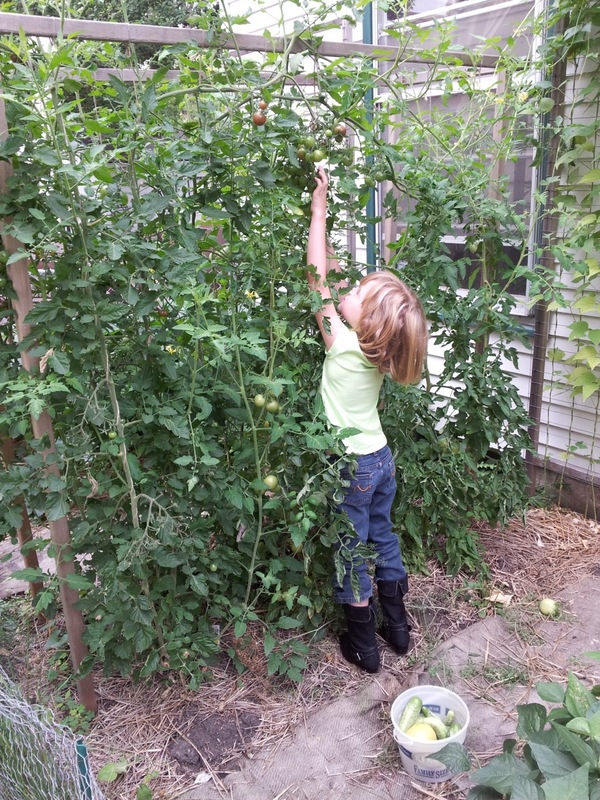 We ended up with a great tomato year, despite the late start. We’ve been eating all the fresh tomatoes we can hold and even made a batch of roasted tomatoes, which we froze in half pints for pizza sauce starters this winter. 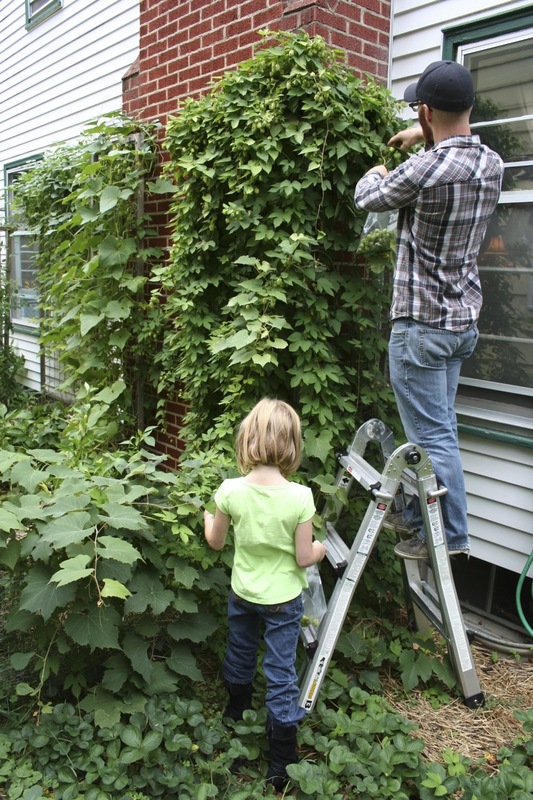 We also harvested 3 gallon-size bags of hops flowers yesterday, and promptly made a batch of beer with them. Can’t wait to taste it! I’ve also been picking lots of herbs for drying; I’ve got several quart-size jars full of various herbal tea plants. 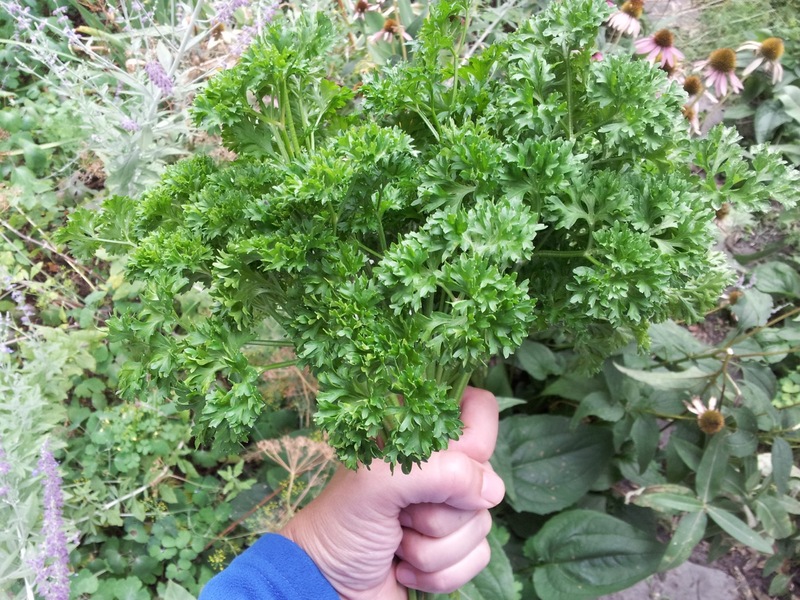 Dried parsley is not nearly as wonderful as fresh, but it’s still nice to have on hand in the dead of winter. 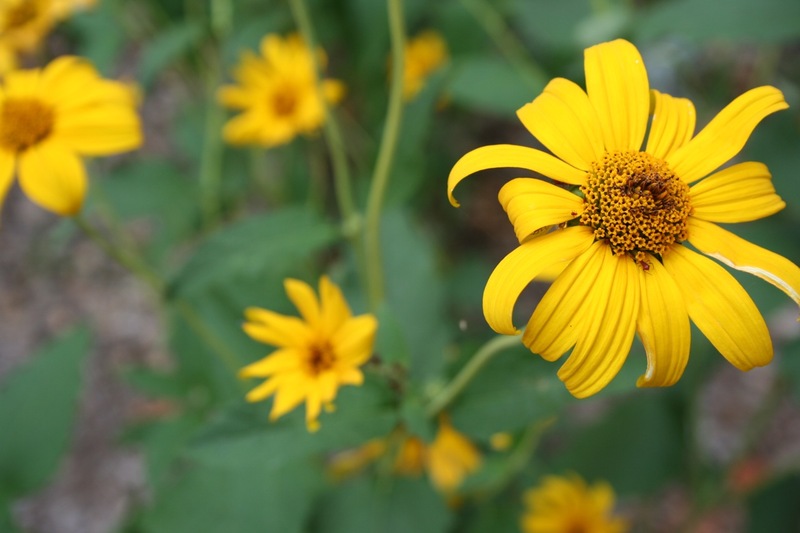 Over in my brand-new boulevard butterfly garden, my early sunflowers are prolific bloomers already in their first year! Love them. 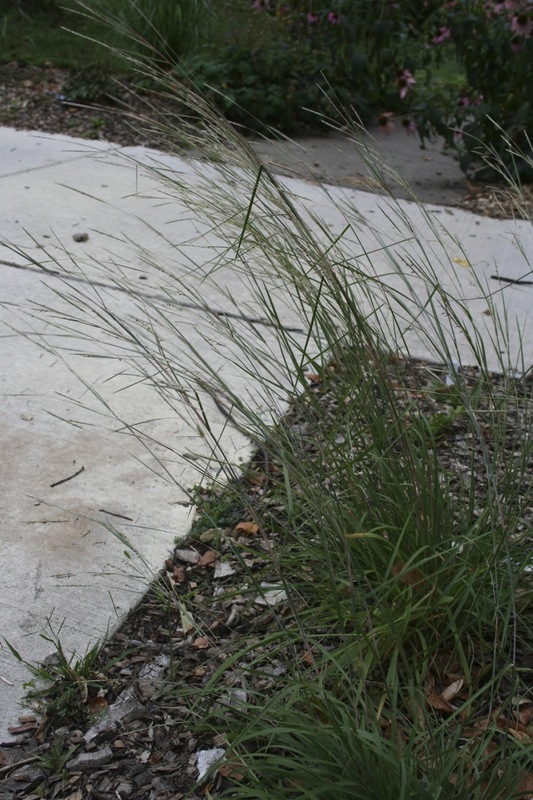 This grouping of Little Bluestem also performed spectacularly for its first year. 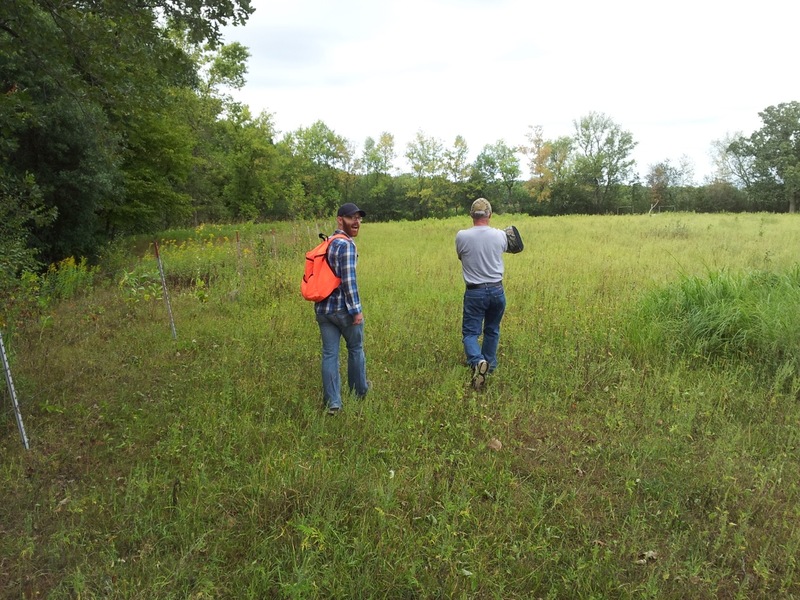 I also went out with Adam and his dad in central MN this weekend to check their trail cameras; bow hunting fever has hit full force (the season opens 9/14). I was mostly along for goldenrod picking, but I’m also excited at the prospect of processing part or maybe all of a deer. We’ll see if he gets one or not. The fruits of my labor day morning gardening. Not too shabby. What’s happening in your garden? 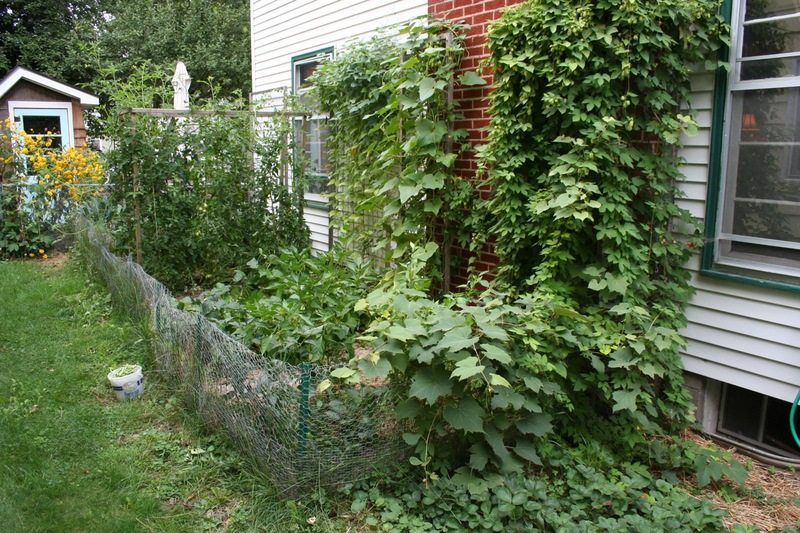 Categories: Gardening, Practical | Tags: edible landscaping, tomatoes, wild game | Permalink.